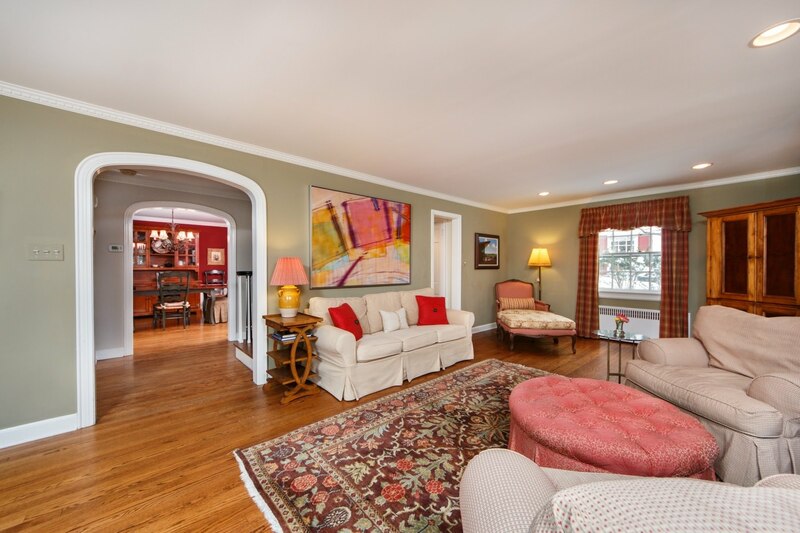 This traditional center hall colonial in the Glenwood section of Short Hills is a true classic. 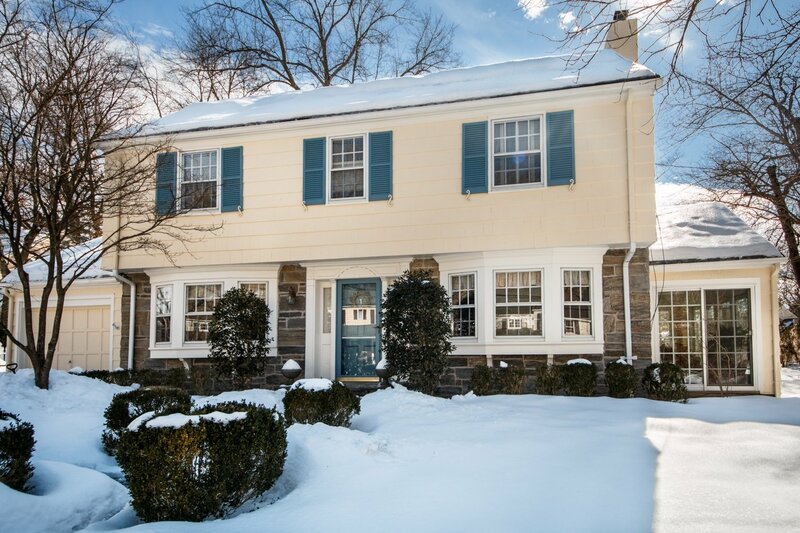 The stone and wood exterior, accented in colonial blue trim, invites you into this timeless home that has the ideal combination of prime location and style. 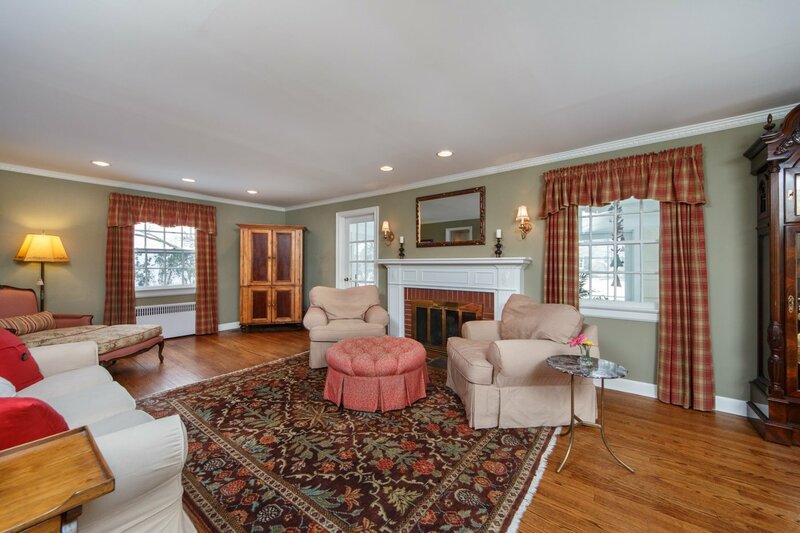 The large Living Room features stunning crown molding, hardwood floors, a bay window and wood burning fireplace with brick surround and a detailed wooden mantle. 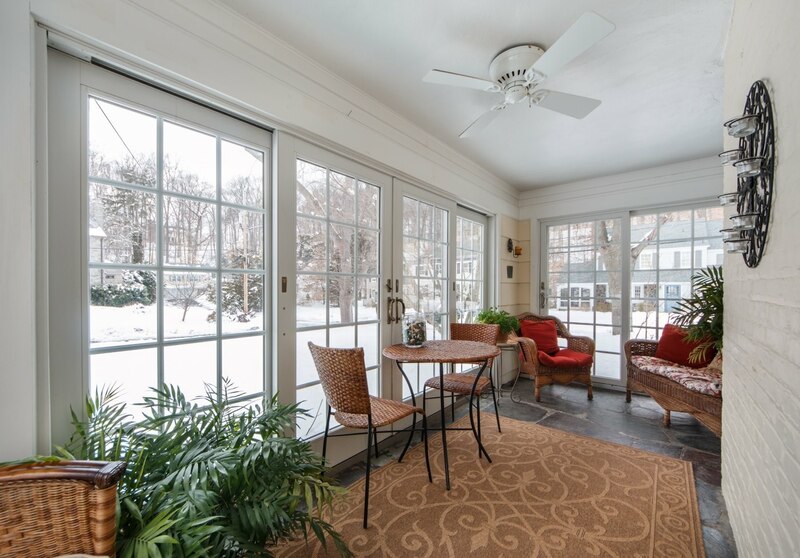 A paned glass door leads from the living room to a bright Sun Porch with large sliders around to the home’s level side yard and bluestone patio. 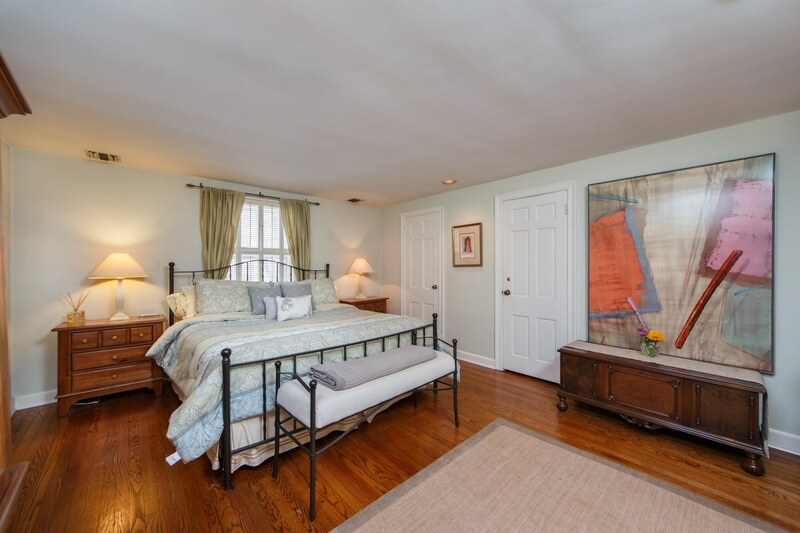 The slate floor and exposed brick wall makes this a fantastic space to soak up the sun with a book or afternoon nap. 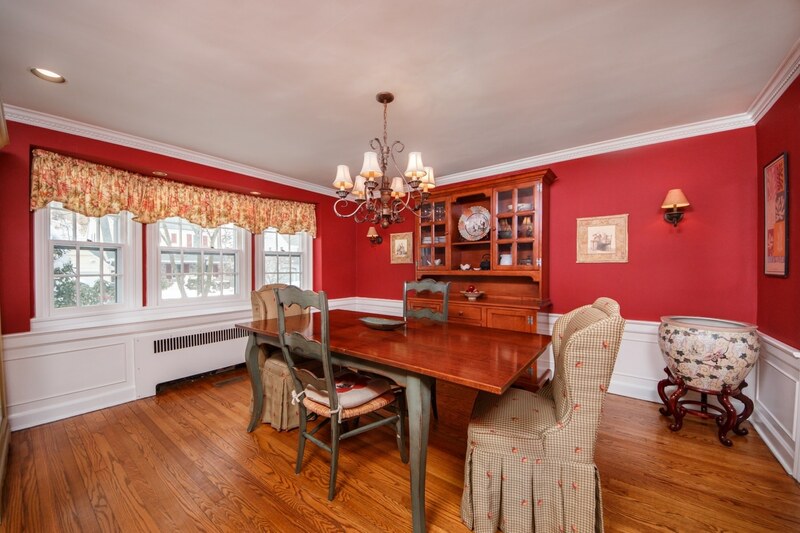 The formal Dining Room has touches of elegance throughout with dentil crown molding, chair rail woodworking and a bay window. 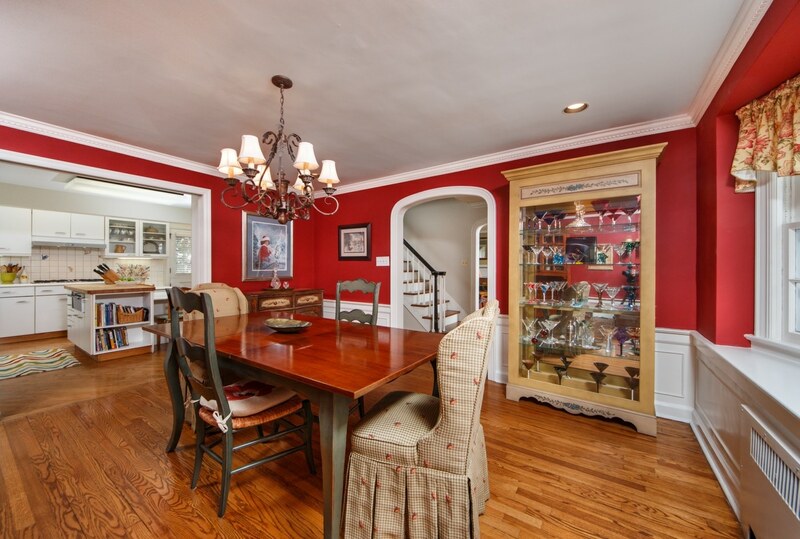 Your dinner guests will enjoy the refined setting yet warm and relaxed ambiance. The sliding pocket doors to the kitchen allows for private food prep in the all-white kitchen, which is clean and sleek with excellent cabinet space, a built-in table on an island with a warming oven and bookcases, white Corian counters and tile backsplash with decorative inserts. 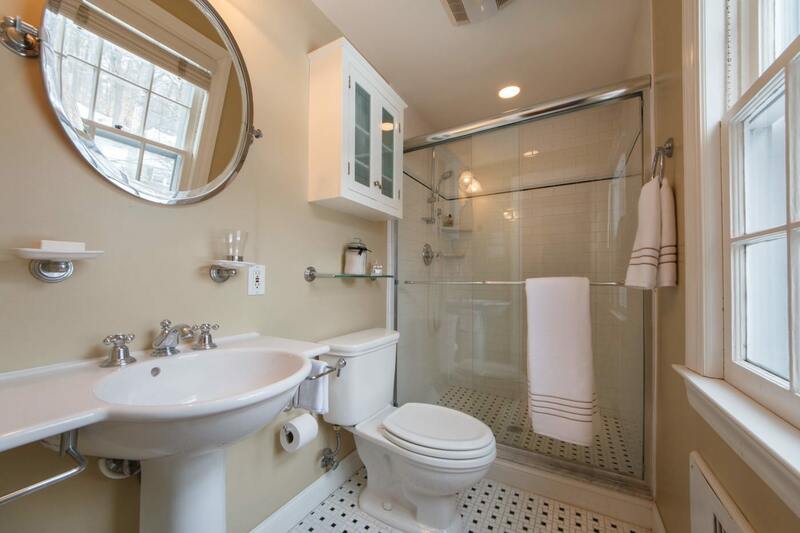 A Powder Room with tile floor and pedestal sink completes the first floor. 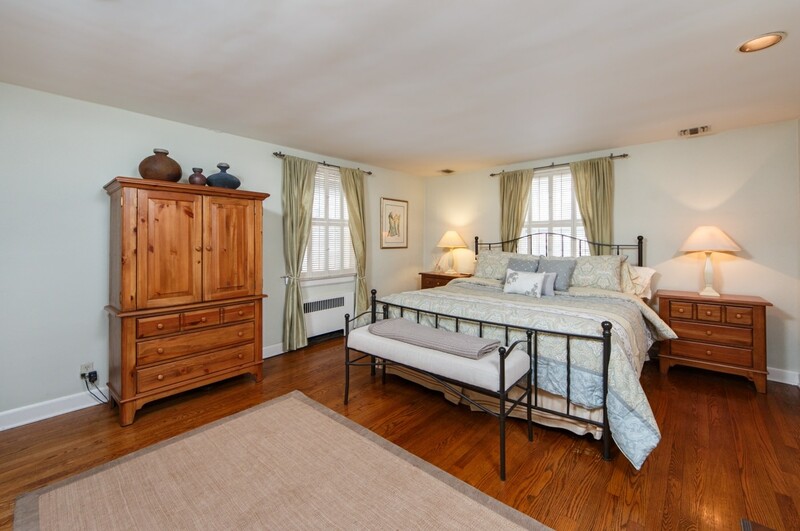 A classic wood spindle staircase leads to the Second Floor landing with window seat that boasts hidden underneath storage. 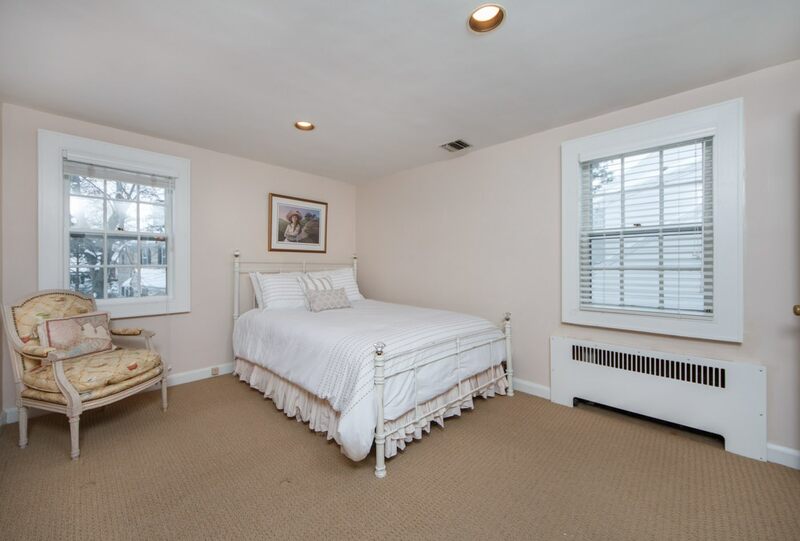 The Master Bedroom with hardwood floors and double walk-in closets is relaxed and welcoming. 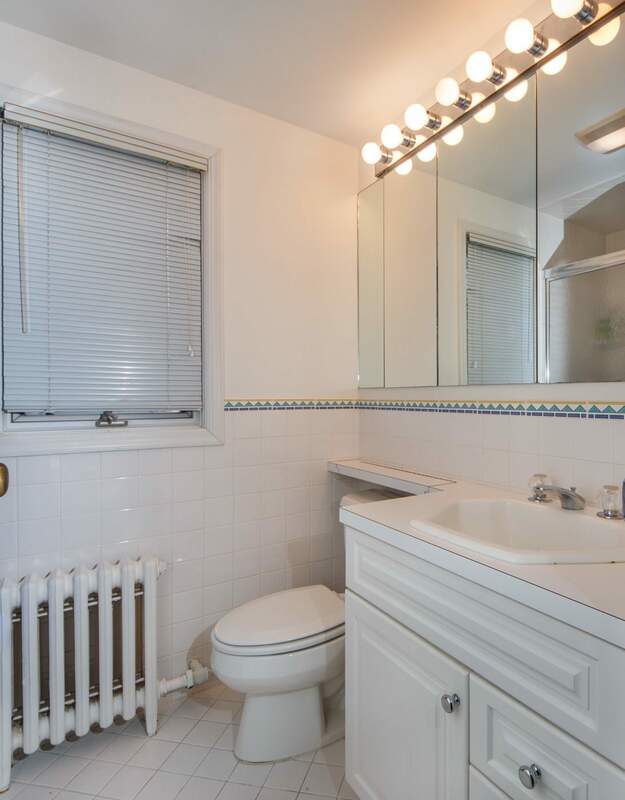 The en suite Master Bath has been renovated to suit all tastes and styles with a pedestal sink, stall shower with subway tile and black and white tile floor. 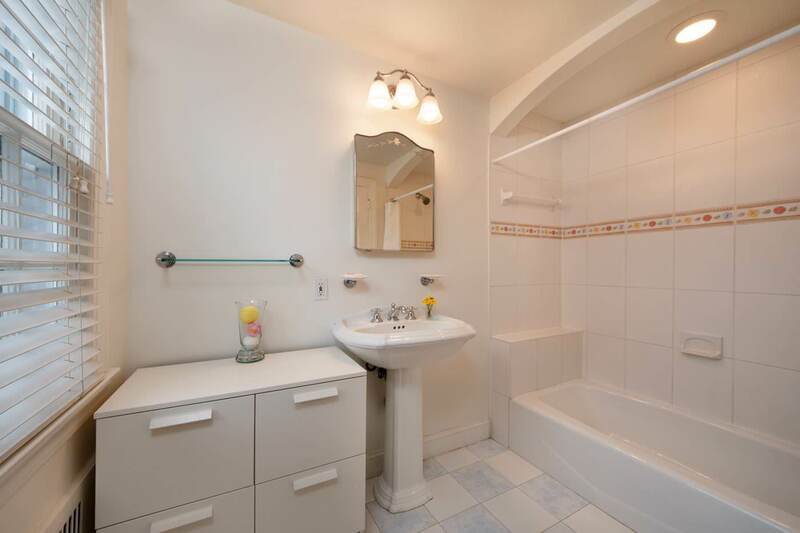 Two additional generously sized bedrooms share a full hall bath with a tile floor, shower over tub with oversized white tile and decorative inlay. 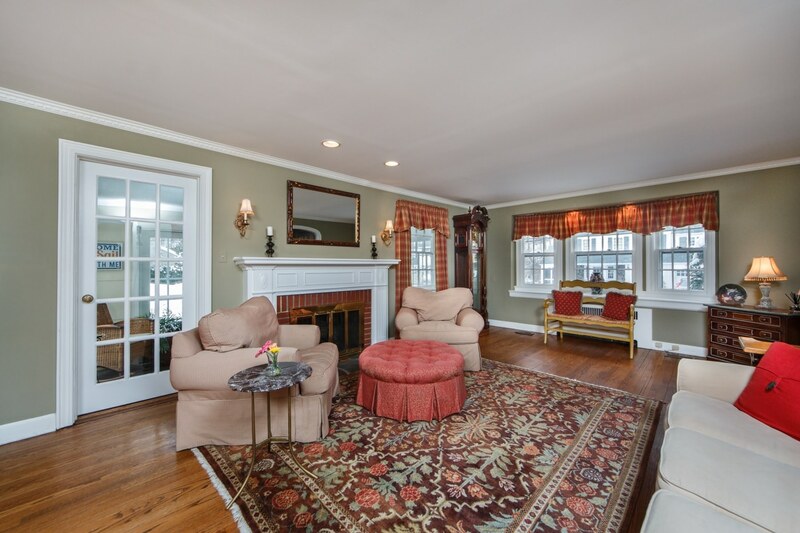 A decorative door into an entry landing with a carpeted stairway leads to the versatile Third Level. 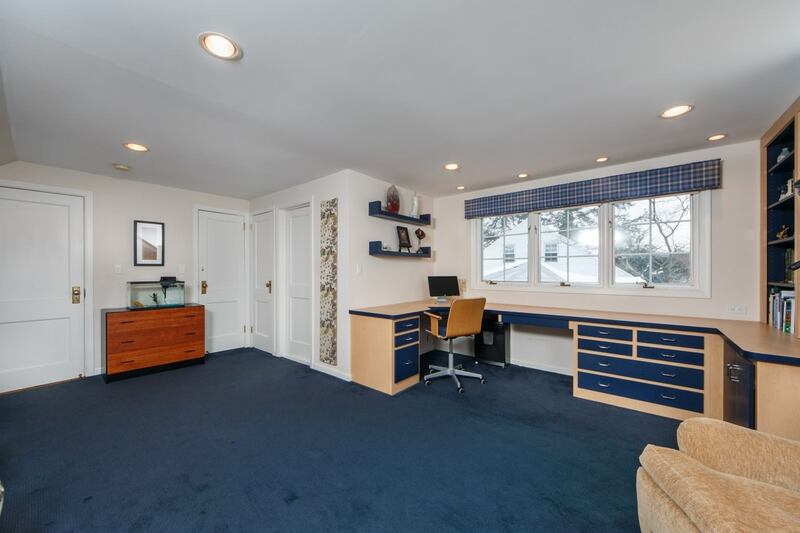 This spacious level can be used as a fourth bedroom, private master suite, office or even a play area. 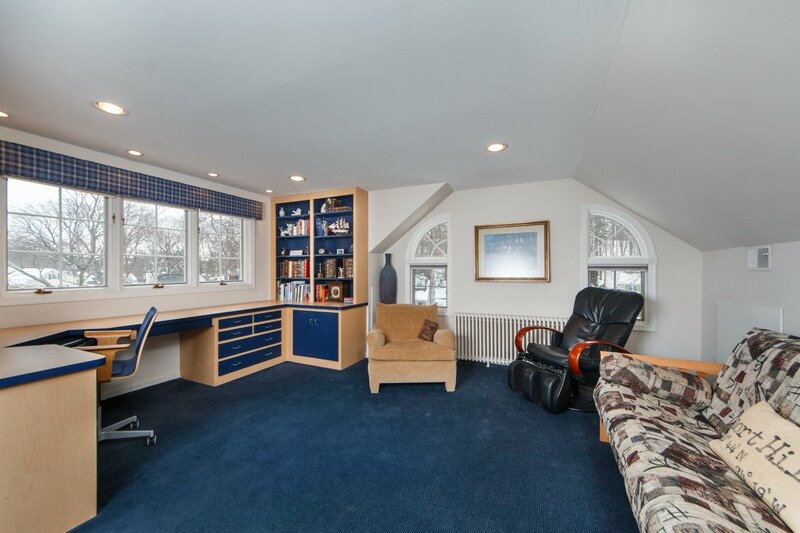 With carpet and a vaulted angle ceiling, this space boasts a warm and cozy feel. 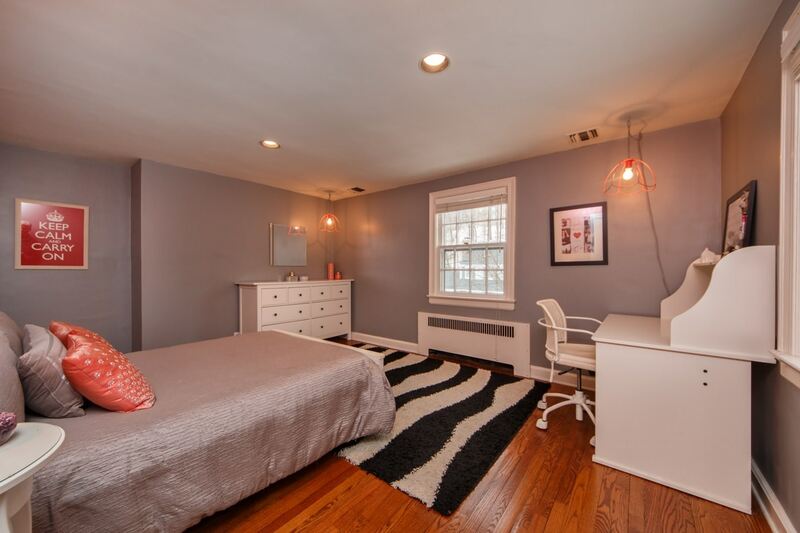 With a full bath, this level is also ideal for overnight guests or older children looking for a little privacy. 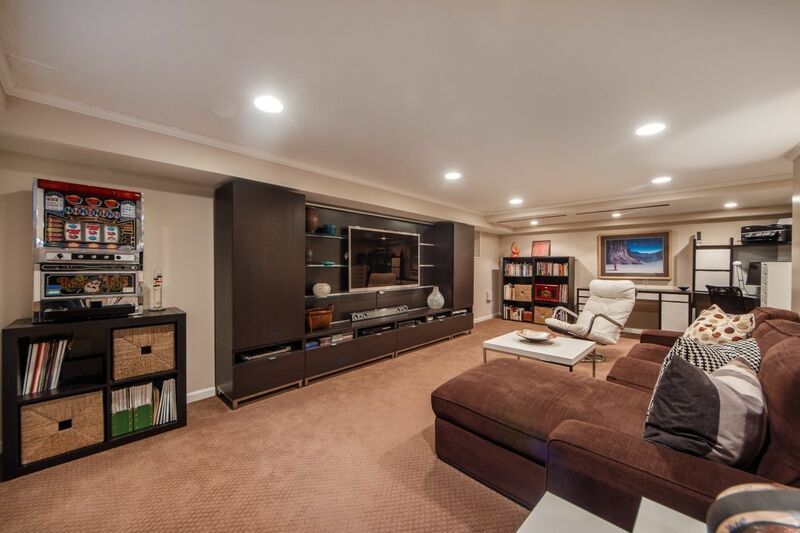 The Lower Level has been completely renovated as a Recreation Room, with carpeting and recessed lighting, children and adults alike will love watching their favorite movie or playing video games on a widescreen TV. 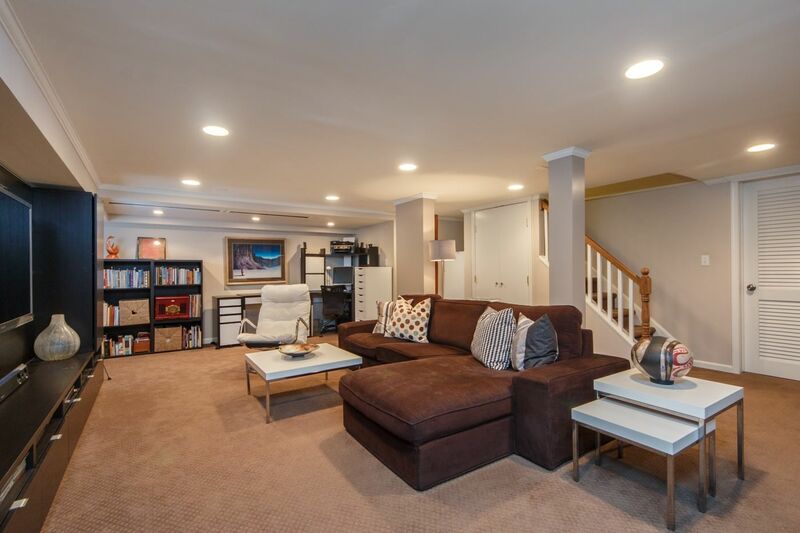 With plenty of room for oversized sectionals and comfortable seating, this area will be a favorite for all ages. 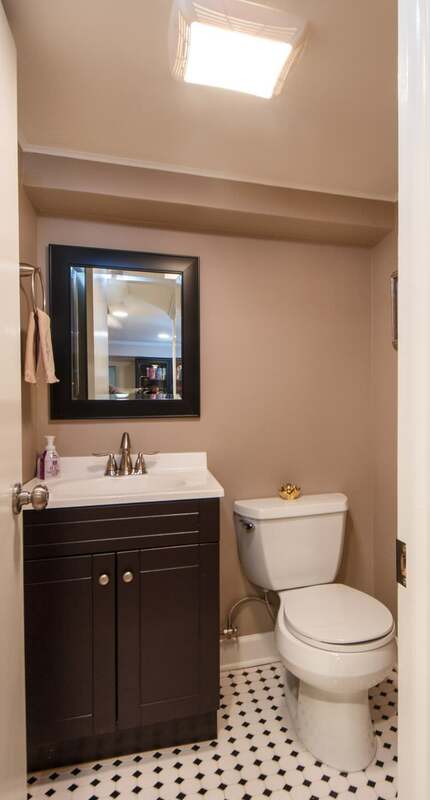 A Powder Room keeps foot traffic to other levels at a minimum and the extra storage and laundry facilities make this level a favorite. 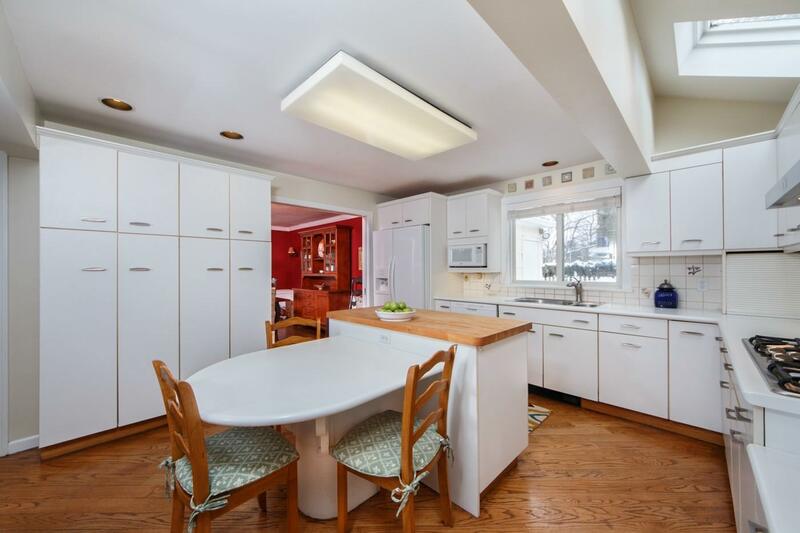 A home that offers plenty of potential for a growing family, but can be maintained and preserved with relative ease, this home has enduring charm and potential. 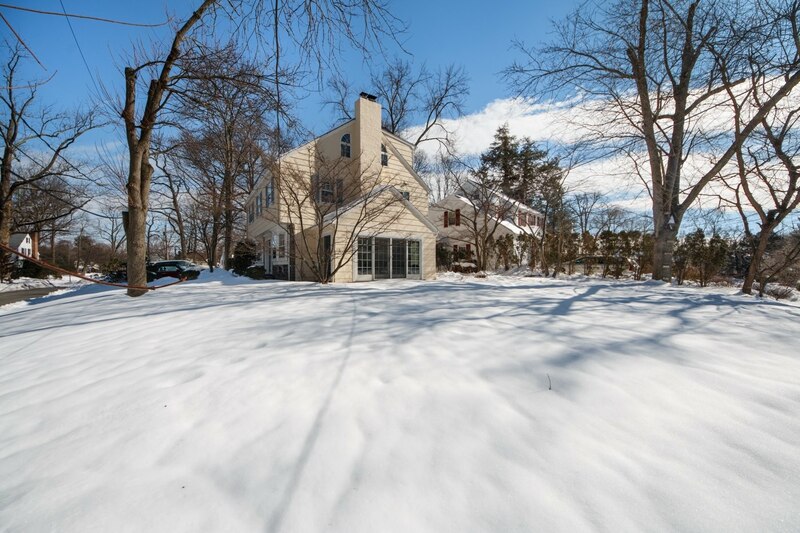 With its sought after location, Blue Ribbon schools, easy access to NYC transportation, and world class shopping and restaurants, 20 Oak Hill Road is the perfect place to call home.